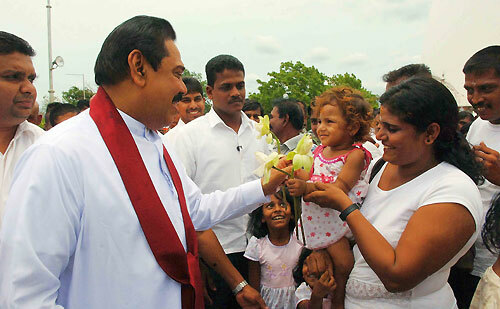 President Mahinda Rajapaksa visited the sacred city of Kataragama and attended several religious ceremonies today on 10th September, the President Media Unit said. The President first worshipped at the Kiriwehera temple and joined a special ‘Bodhi Pooja pinkama’ held at the temple premises. After engaging in religious observances, Maha Sanga headed by Chief Incumbent of the temple Ven Dr Aluthwewa Soratha Nayaka Thero chanted seth piritha to invoke blessings of the Triple Gem to the country and the President. 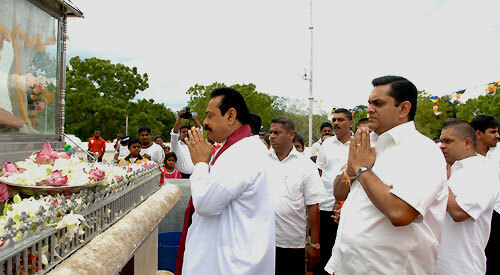 Subsequently President Rajapaksa participated in special religious observances organised at the famous Katharagama Devale (Hindu Kovil) to invoke blessings on him. Later the President attended the religious observances at the nearby mosque and expressed his warm wishes to Muslim community in Sri Lanka, to mark the start of the festival of Eid Ul Fitr and the end of Ramadan. 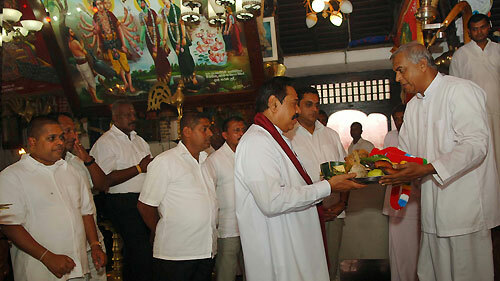 President Rajapaksa also chatted with devotees during his visit to Kataragama. 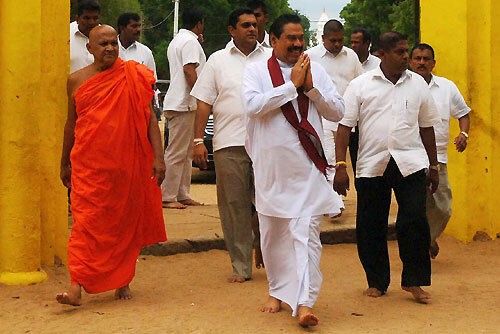 Uva Province Chief Minister and the Basnayaka Nilame (custodian) of the Kataragama Devale, Shasheendra Rajapaksa, Sachin Vaas Gunawardene MP and several local politicians and officials were also attended the religious ceremonies.